Modern Greek Level 2. 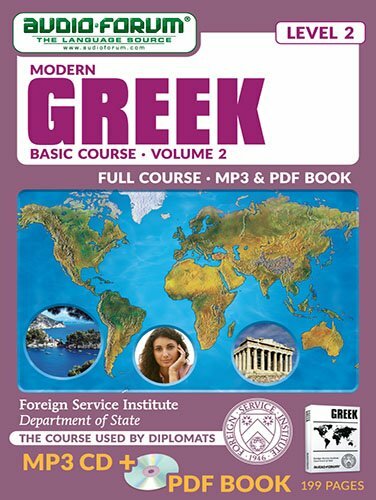 Over the years, Audio Forum customers have used our courses to learn Greek in as little as 25 minutes a day, entirely on their own. You'll be amazed at how easy it is to achieve fluency in Greek using this proven audio/text method. While other premium computer-based language courses offer only the means to learn to speak, with Audio-Forum, you'll not only speak fluently, you'll also master grammar skills at a scholarly level - all with the confidence and polish of a native Greek speaker. After all, diplomats have proven for years that this method works! Last edited by deutsch3000; 11-07-2018 at 07:43 PM.